It is great so easy to use. Both my husband and my dad loved these when I put them in their Christmas stockings. Daddy uses it at meetings and during volunteer activities to discreetly do for himself. My husband uses it in his shop. I put one in our work kitchen. It was used almost immediately. I hand these out to everyone I know that has trouble opening jars of any size. love the opener easy to. use. I have severe arthritis and a widow; this makes my life so much easier! I use it to open even water bottles. Highly recommend it! I could not open many jars without this gadget! 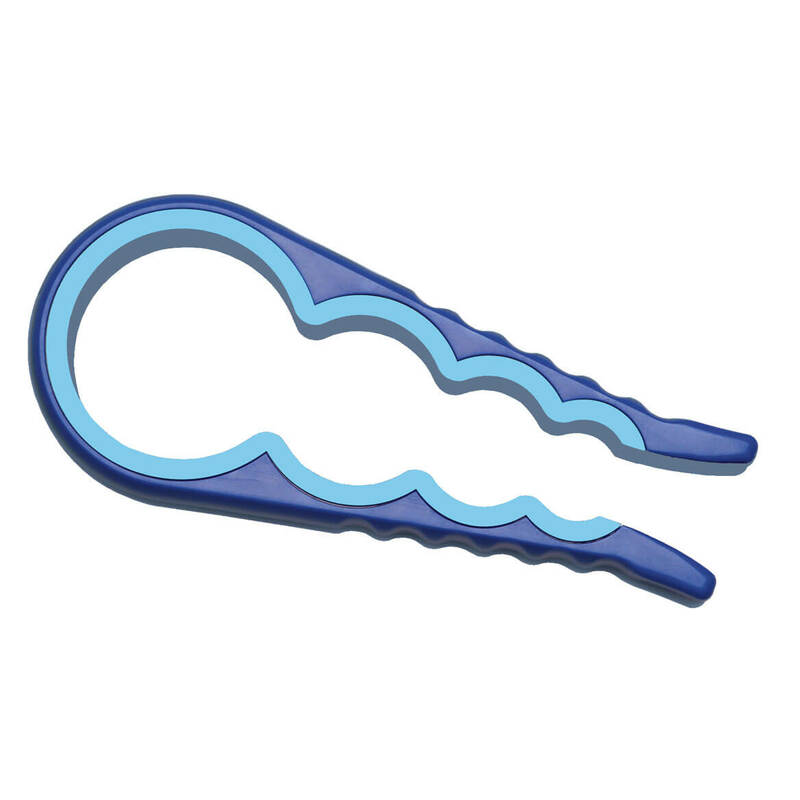 Love this tool! It saves me from hurting my hands and wrists fighting with stubborn jars and/or asking for help from my husband just to open a jar. We Find 2/3 of the stuck lids respond immediately. The Other third have to be heated in hot water from a tap. Then this tool also protects the hands from hot bottle! For Several Years: Never known this to fail. As dexterity and strength deminishes this product is the hand's best friend. Experiment when using it and you'll soon be using it to open all jars and containers. I give it as a gift to my "older" friends. I had about a dozen various jar openers some of which were totally useless. This one surpasses all of them. All the others were thrown in the trash I don't have a lot of strength in my hands but have no problem opening jars, bottles, etc. with this opener. 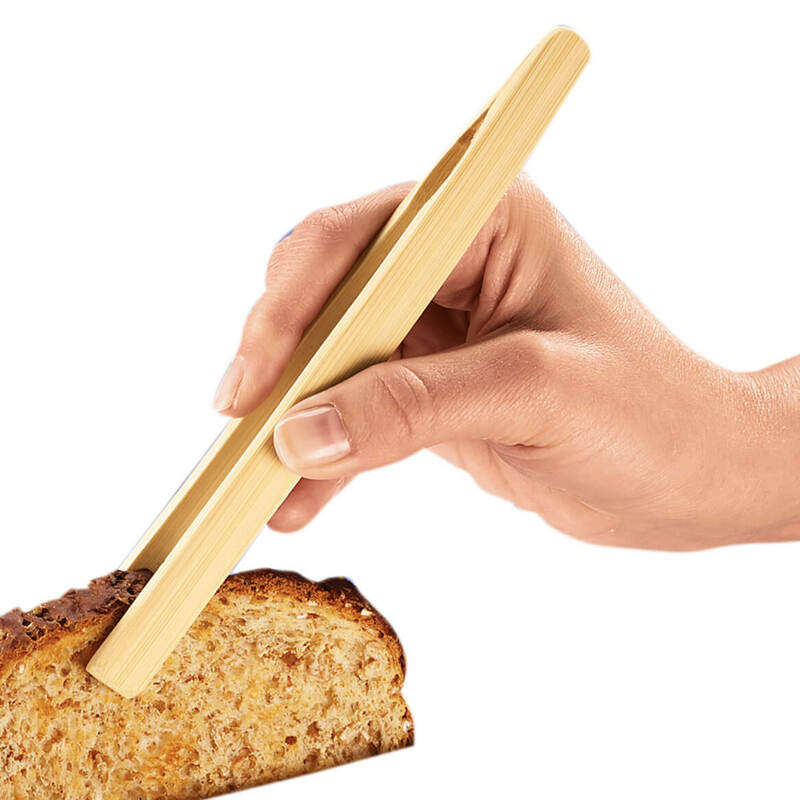 This simple, practical tool is perfect for any kitchen. It works really well and saves my hands, especially on those sticky jam jars! I loved this jar opener!!! My mom-in-law liked it so much I gave it to her, and now I'm going to have to buy gifts for all my family. Very easy to use, saves the wrist. No more waiting for my husband to get home to open something for me. Best [$] I've ever spent. i am 72 years old, my hands are not strong. opens jars and coke bottels with ease. THINGS. SINCE I HAVE " CARPAL TUNNEL SYNDROME "
TO USE. WOULDN'T BE WITHOUT IT NOW. JAR OPENERS KEEP THEM COMING. I have "trigger" fingers on both hands, and this tool allows me to open jars and bottles without help. Great help in the kitchen, utility room, garage, and everywhere! Just what I needed, works well! Best thing I bought in 2013!!!!!! I use this to open all jars & bottles. Worked so well, I bought one for each of my family. Best thing I bought in 2013!!!!!! Best thing for hands and wrist. This is a great help for my arthritis. I really love this jar opener. I have use other products but I have so much leverage with this one and my hands don't hurt. great for hard to open jars.great for arthritic hands. Finally broke down and bought one of these and it really helps on the wrist action in opening things. 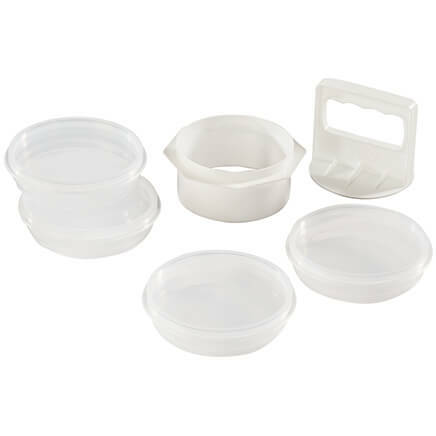 It also fits quite a variety of lid sizes as it has different sizes on each side of the opener. I am a cellist, and had a hand injury that developed into arthritis. It was virtually impossible for me to use my right hand to open anything. 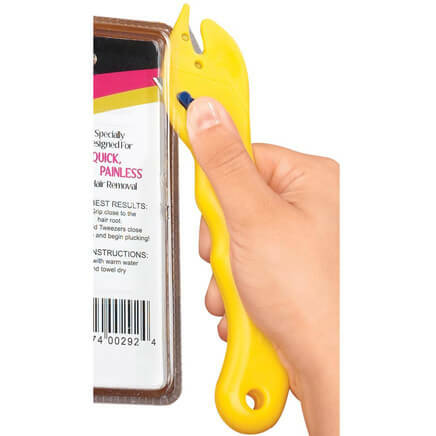 This product was and IS tremendous to open anything. I use personally and gift it to anyone who has any beginnings of arthritis or restrictions. I have used mine numerous times to open jars and find it so nice to open them with. I also bought one for a Christmas gift and the lady I gave it to really liked it. Love the versatility for various sizes of jar covers. Surely beats the flat rubber grippers I've tried (at times, unsuccessfully) to use in the past. Good gift for seniors, too, or anyone suffering from pain and/or a loss of hand dexterity and strength. Not having a "man around the house" this product was an instant relief to straining on hard to open jars. Just fit it on, turn counter clockwise and voila~ it opens! I was sold first try, bought my mom one, then she asked for some for her sisters, and my brother wanted one for his wife, too! Ordered 6 more for them, and some single ladies at church. The only bottle opener that I have found to work. I have purchased several bottle openers and this is the only one that has worked at all. I use it primarily for seltzer and water bottles and it hasn't failed yet. I have a problem opening many bottles/jars. This is just what it says - easy. I can open anything without a problem! I think everyone should have one of these openers. I could not do without mine. It is very good for stubborn lids or someone who has arthritis in hands. I bought three for members of my family and they are very happy with it. This opens jars very easy. Great if you have difficulty with strength in hands! I previously used a rubber gripper.. The gripper overtime does not adhere to lids. 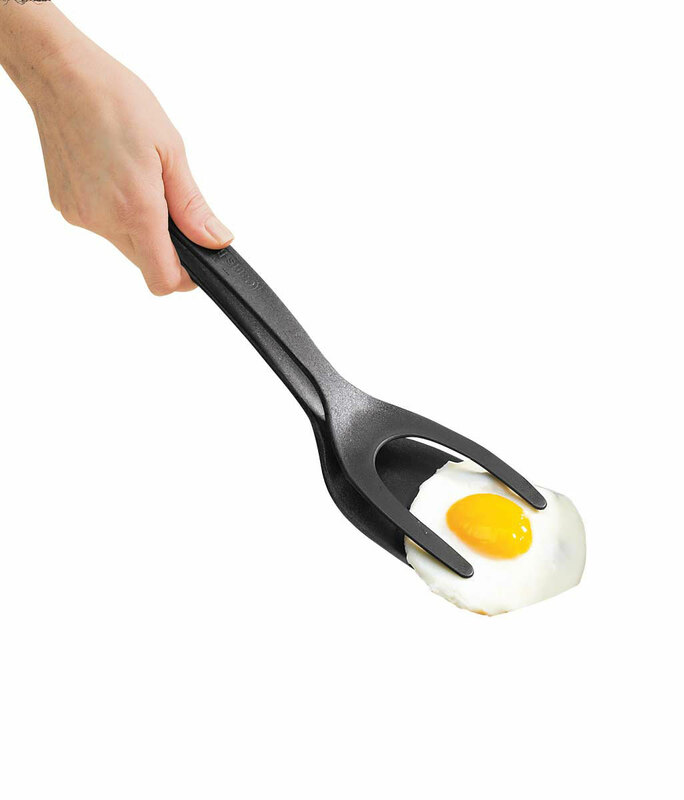 This opener has several sizes to grip your jar, milk, juice container with no frustration! I love the product. I am unable to open jars and bottles without it. So far it has done the job for opening stubborn lids. Haven't had it that long. I ordered this opener because I have arthritis and carpal tunnel in my hands. It's very painful to open jars, bottles etc. This definitely helps. I was looking for something to help me open 16.9 oz pop bottles and this product works great! I also used it to open a jar of Ragu Spaghetti Sauce last night. I have Rheumatoid Arthritis and don't have the strength in my hands to open jars and pop bottles like I used to be able to do. I would highly recommend this product to anyone who has arthritis. For me it works wonders! I have arthritis in my hands. Hope this will help me in opening tight lid jars. It might help me because arthritic fingers. I'll be living on my own for the first time in 38 years and I'll no longer have my husband around to help me open jars. I sometimes have trouble opening lids & caps, so I thought this might help. For a mother in law with arthritic hands! I'm age 80+ and don't have the strength I had in my younger years. Had one of these before, but in my moving its lost, and needs to be replaced. Maybe this can help my arthritic hands with opening jars and bottles. Because of my age, I have less strength in my hands for opening jar and bottles and hope this will help. I'm hoping this will work better than the last one I bought, but I have arthritis in my hands and hope this will help me open bottles and jars with more ease. To make it easier to open jars that are difficult for me to open. It has become difficult to open jars because of health problems. Hopefully it will make it easier to open jars for me. Because it will help me and my husband to open jars. we are getting older! Always looking for handy tools in the kitchen. This works so well for my husband with arthritis. It replaces one we bought years ago that is falling apart. I am a senior citizen with arthritis in my hands. 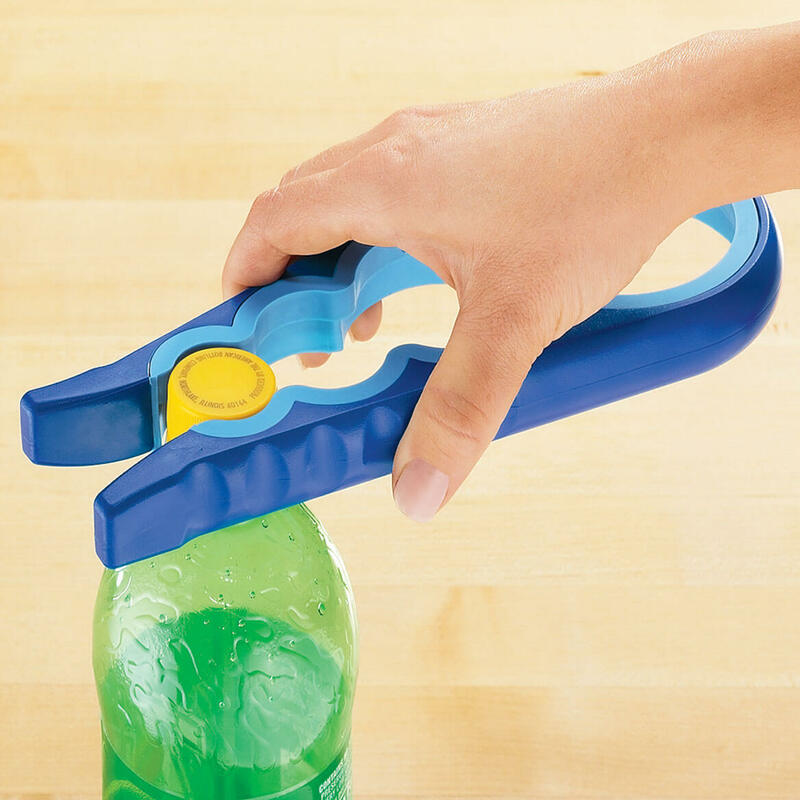 This Easy Twist Jar Opener is ideal to help me easily open jars of any size! I don't have the strength in my hands that I used too! Hope it helps. I have RA an Osteoporosis and these items will help me to open items I can't eith my hands. It's hard for me to open jars, so i thought this item could be helpful. I love this jar opener, it's the best way for me to be able to open all size jars. I'm 60 and I don't have the strength in my hands anymore. My arthritis is getting worse so it’s becoming harder for me to open up jars, so I’m hopeful this will help me! I am elderly and live alone. I know how getting a jar or bottle open can be challenging. I chose this item to help me. I had carpal tunnel release several years ago. I still have a hard time opening jars, etc. 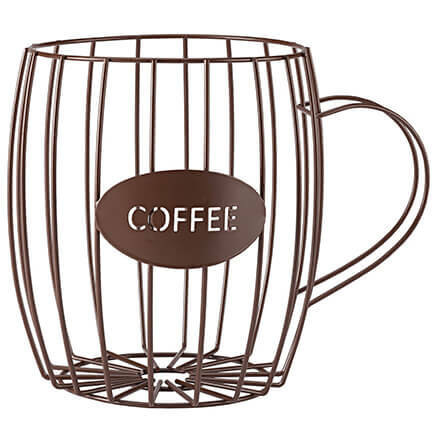 This would make a great help for me in the kitchen. Getting older, hands are not strong. Because I have a had time opening bottles and jars. My Aunt has one and it works great! it helps with my arthritis in my hands I was so glad when I founds theses. We already have these and our friends are impressed by them so we are getting some as gifts for them. I am getting older and it is getting harder to open jars. Thought I would give this a try. 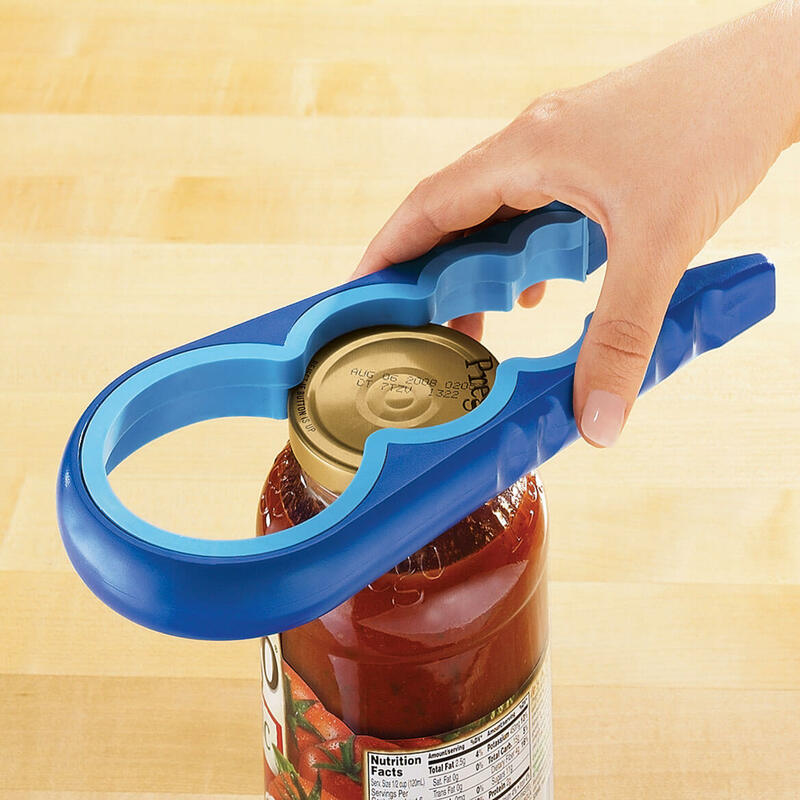 I need this to open jars and bottles because my joints are painful with arthritis. Because I have a hard time opening large juice bottles.